Should I Buy Now or Wait Another Year? Wondering if now is a good time to buy a new home? 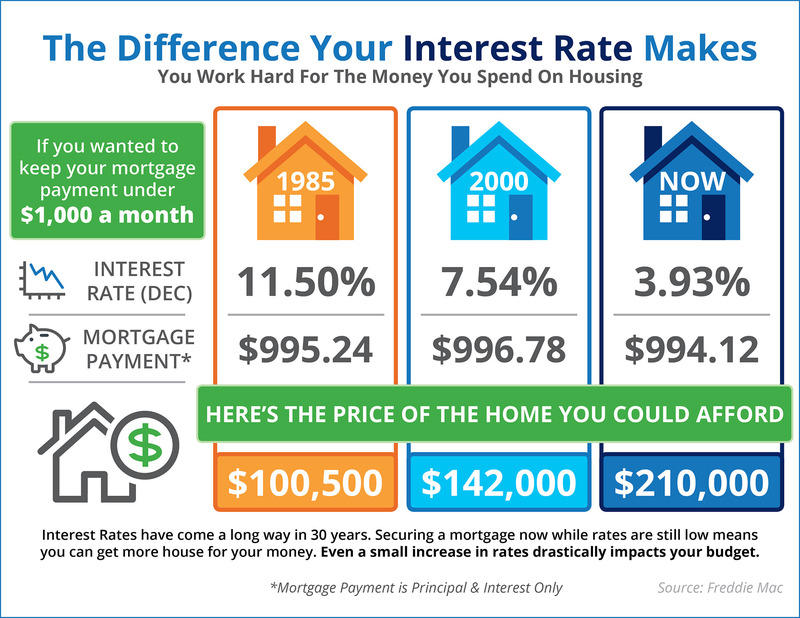 Thinking about waiting a little while longer to purchase because you think you have plenty of time left before mortgage interest rates rise? 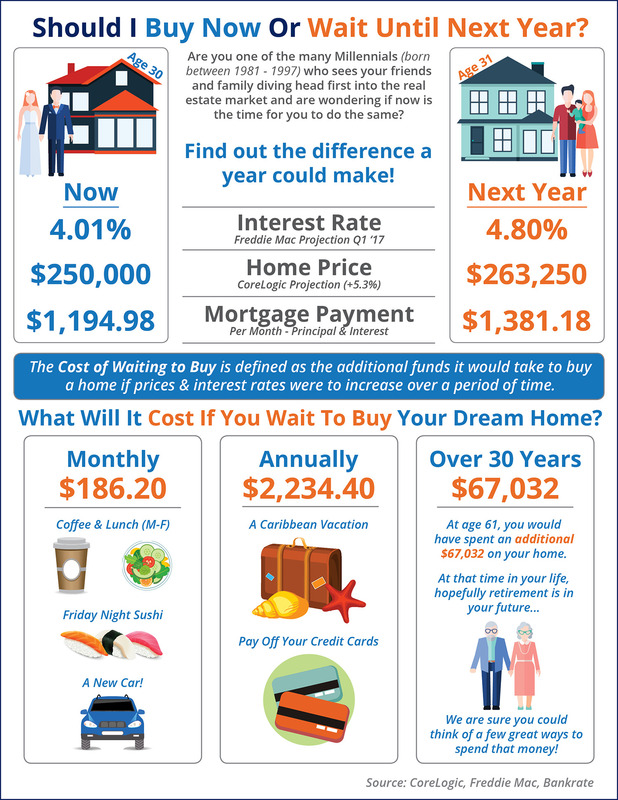 You might want to take another look at the Infographic below from Real Estate with Keeping Current Matters.Homebuyers have a great selection of new homes available now and most economists agree that this is best year for the housing market in over 7 years. What is the real cost of waiting another year? As the Keeping Current Matters’ chart points out, the cost of waiting to buy is defined as “the additional funds it would take to buy a home if prices and interest rates were to increase over a period of time”. The longer you wait to buy your dream home, the more likely the interest rates will rise, and thus the overall cost to buy will increase. Copyright © East West Communities 2016.